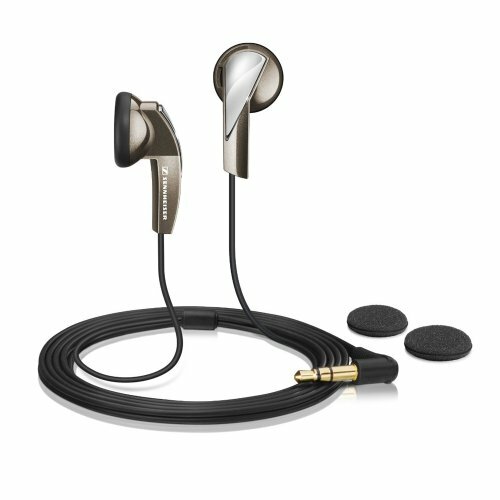 Sennheiser MX 365 Earphones stay in with BudLoks™ - Far End Gear™ Products for outdoor enthusiasts - earbuds, earphones, and earbud sport grips. Plain vanilla has never been your flavor. Your taste in music and style is as unique as your fingerprint. Listen to your favorites on your terms with the vibrant styles and sounds of the MX 365. The ideal upgrade from boring stock earbuds, these exciting new 'phones from the world leader in acoustics will be the voice of your personality. Hear I am.